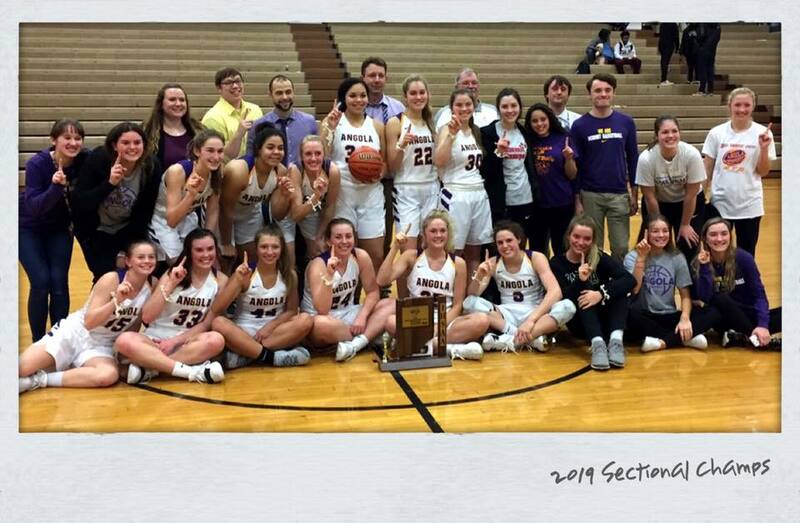 The Angola Lady Hornets became the 2019 IHSAA sectional champions Monday night by defeating Concordia 58-43. Central Noble and West Noble also were Sectional Champions at the respective tournaments. The is is the first time 3 NECC teams have won sectionals. Fremont can make it 4 with a sectional win Tuesday night at home. The lady Eagles will play Bethany Christian for the Sectional title. Both Angola and West Noble will now head to the Columbia City Regional this Saturday. The two NECC teams could face each other after there first round of play. Angola(20-6) must first defeat New Castle (19-9), while West Noble (18-5) will play Marion (21-4) in the first round.